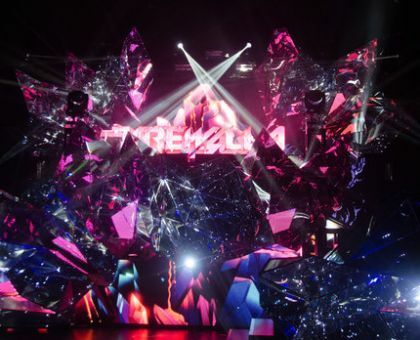 Recently our client AIR Amsterdam asked us to do more with audio reactive abstract stuff for their event FORMAT. We happily cooked up our own app in TouchDesigner for the very first time. But I could not have done it without all the crazy information on forums and the research and inspiration done before hand. That is where I also stumbled upon this cool audioreactive fractal animation by Trypta. Not exactly new, but definitely worth sharing!